When your organisation has implemented energy saving opportunities, how do you know whether they have achieved the projected energy or carbon savings? The systematic verification of energy savings resulting from the implementation of such opportunities is a crucial – but often neglected – part of the process. When energy-saving projects are carried out, it is important to check how effective they have been. A proposal for a project becomes much more credible, and is far likelier to attract funding, if it is known that its results will be exposed to thorough scrutiny. 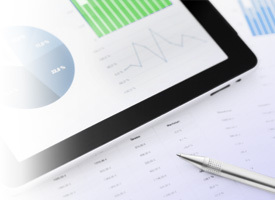 Energy savings verification is essential when there are contractual consequences as in the case of work carried out by an Energy Service Company (ESCO). Rigorous evaluation increases trust, and enables you to discriminate between ineffective projects and those which deserve to be replicated. It can identify projects which have failed because of some minor issue which can be readily resolved. A reliable savings verification methodology that takes into account drivers such as building occupation and ‘degree days’. 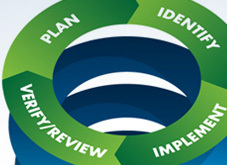 The Green Consultancy is one of the few UK energy consultancies to employ staff trained to use the globally recognised International Performance Measurement and Verification Protocol (for details see below). Therefore, with our support, you can ensure savings verification of the highest standard – and have the confidence to invest in energy and carbon saving measures knowing that they will deliver. The Green Consultancy is one of the very few UK energy consultancies to employ independent energy measurement and verification professionals, working to IPMVP which is the de facto global standard for the conduct of energy savings verification. 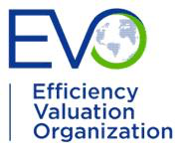 It is published by the Efficiency Valuation Organisation (EVO) and is designed to promote transparency, completeness, objectivity, and conservativeness. The Association of Energy Engineers (AEE) and EVO award the CMVP® (Certified Measurement and Verification Professional) qualification to those who attend the training course, subsequently pass the examination, and remain active in the field of measurement and verification. The Green Consultancy is an associate consultancy of The British Standards Institute (BSI) and provides consultancy support, training and monitoring on all energy and environmental management system standards and all energy/carbon reduction standards – such as ISO 14001, BS8555, ISO 50001, BSI Energy Reduction Verification Kitemark and the Carbon Trust Standard.